The opportunity to stay at a number of exclusive lodges and hotels and play on eight of the finest courses designed by the Black Knight, The Golden Bear and The Big Easy doesn’t come along too often. African Fairways invites you on a Sublime Experience where you’ll fall in love with the natural splendour of the untamed African bushveld, discover hidden gems in the coastal towns along the Eastern Cape’s glittering Garden Route, roll the dice at ‘Africa’s Kingdom of Pleasure’ and get a taste of township life in the heart of Soweto. Upon arrival at Johannesburg International Airport, you will be met by a friendly African Fairways representative and assisted with a transfer to Sandton. Johannesburg has a wealth of first class accommodation, from intimate and peaceful boutique hotels to the larger casino and entertainment resorts or the vibrant and cosmopolitan hotels overlooking Nelson Mandela Square. There is something for everyone in the city of Gold. Your luxury accommodation options include Emperors Palace, The Saxon, The Michelangelo Hotel, The Sandton Sun Hotel, AtholPlace, DaVinci Hotel and Suites, The Fairway Hotel. Accommodation at these fine hotels is on a one night bed and breakfast basis with dinner as an optional extra at selected venues. After freshening up, you will be transferred to the Serengeti Golf Club and Wildlife Estate for an afternoon round of golf. Optional Tour: Soweto Tour and the Apartheid Museum- a tour delving into the deep and intricate history of South Africa. You will be transferred back to Johannesburg International Airport where you board a scheduled flight to Kruger Mpumalanga International Airport. Depending on your accommodation of choice, you will either be transferred by road or lodge hop on a light aircraft to your lodge. While all of the lodges offer the ultimate in luxurious bushveld experiences, you choice will probably be influenced by those extra special offerings, like a night in a tree-house under the stars, the most luxurious of pampering spas, or the intimate up-close experiences on game drives. Your fabulous choices include Royal Malewane, Lion Sands Reserve, Singita Sabi Sand, Savanna Private Game Reserve, Cybele Forest Lodge, Oliver’s Restaurant and Lodge, Sabi Sabi Private Game Reserve, Jocks Safari Lodge. Your time at the lodges will be spent unwinding from the stresses of daily life in the phenomenally beautiful African bushveld and enjoying early morning and late afternoon game drives where, if you’re lucky, you’ll experience the Big Five. Accommodation will be on a two nights’ full board basis including scheduled game activities. The early mornings and late afternoons are the best time for spotting the Big Five, you will learn much from the extremely professional and experienced guides. 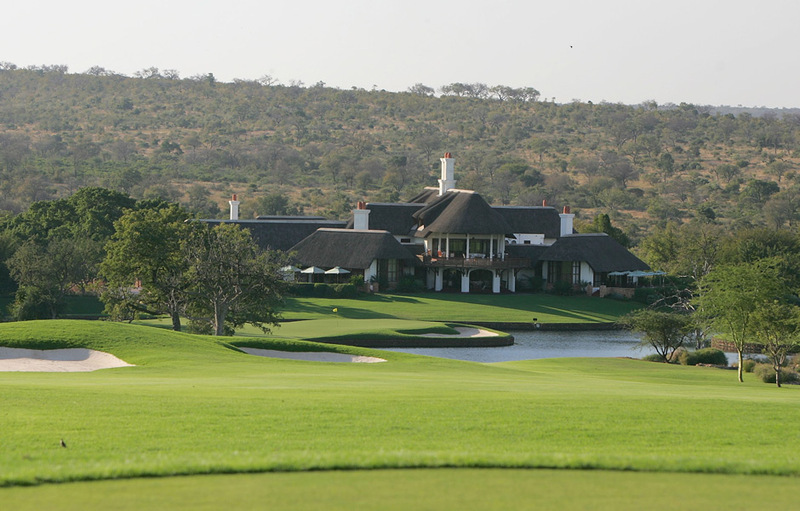 During your stay in the Bushveld, you will be playing at Leopard Creek Country Club, which can be a 2 hour to 30 minute road transfer depending on where you are staying. Depending on where you choose to stay, the road transfer to Leopard Creek will be 30 minutes to 2 hours. After your last early morning game activity, you will be transferred back to Johannesburg International Airport. Upon arrival at Johannesburg International Airport, you will be met by a friendly African Fairways representative and assisted with a scenic three hour transfer to “Africa’s Kingdom of Pleasure” - Sun City. This internationally acclaimed family resort lies deep in the heart of a long-extinct volcano and is surrounded by the imposing Pilanesberg Mountain Range and boasts an unparalleled combination of features which draw thousands of visitors each year. The resort has a selection of four hotels and a feast of family treats like the beach and waterslides at the Valley of Waves, a variety of sporting activities including tennis, squash and volleyball and excellent wildlife experiences in the nearby Pilanesberg Reserves. Here you can choose from three luxurious accommodation options including Sun City, Molori Safari Lodge. Gamble in the Casino, but never on the Gary Player Country Club Course where good course management, stamina and accuracy are demanded. You will enjoy one of the major draw-cards to this world-class Resort - the opportunity to play on two first class championship golf courses designed by the Black Knight, Gary Player. Accommodation here is on a two nights’ bed and breakfast basis. A private transfer will return you to Johannesburg International Airport where you board a scheduled flight to Port Elizabeth. A roughly ninety minutes private transfer will take you to the scenic St. Francis Bay where you may spend the afternoon at leisure. Your accommodation options are truly varied with everything from bushveld serenity to Seaside splendour, the choice is yours St Francis Links Golf Lodge, The Sands at St Francis. Accommodation is on a two nights’ bed and breakfast basis, unless otherwise stipulated. Invoke the spirit of the centuries-old courses in Scotland and Ireland as you play a round on the inspiring St Francis Links course. For the animal lover, St Francis is also home to the Penguin Rescue and Rehabilitation Centre. Enjoy a scenic and leisurely four-hour private transfer from St Francis to George. George is the perfect base from which to explore parts of the “Garden Route” with areas like Wilderness, Mossel Bay and Knysna within an hours’ drive. It is a nature lovers’ paradise with activities such as hiking, bird watching, whale watching in season and horse riding. The Fancourt Resort Hotel and the Manor House evokes a genteel tranquillity and old world charm that will satisfy the most discerning traveller. Accommodation here will be on a three nights’ bed and breakfast basis with dinner as an optional extra. Spend three glorious days playing three magnificent courses all ranked in the South African Top 20. The Links (ranked No. 1), The Montagu (ranked No. 7) and The Outeniqua (ranked 18) will not disappoint. An alternative to playing at Fancourt is to stay and play at Oubaai Golf Club situated just outside George, in Harold’s Bay. You will spend three luxurious nights at the Hyatt Regency Oubaai Golf Resort and Spa on a dinner, bed and breakfast basis. The Hyatt Regency Oubaai Golf Resort and Spa is located on South Africa’s gorgeous Garden Route. The area is known for its pristine beaches, indigenous forests and nature reserves. Nestled between the shimmering Indian Ocean and the majestic Outeniqua Mountains in Herold’s Bay the Hyatt Regency Oubaai offers visitors a superb and entertaining vacation. The most striking feature of the Hyatt Regency Oubaai is the enormous picture windows with uninterrupted views all the way to the Ocean. The architecture conjures up the nearby sheer sea cliffs and sweeping sand dunes. The natural desert / dune tones of the hotel blend beautifully into the surrounding landscape. You will be transferred back to George Airport where you board a flight to Johannesburg International Airport and back home. 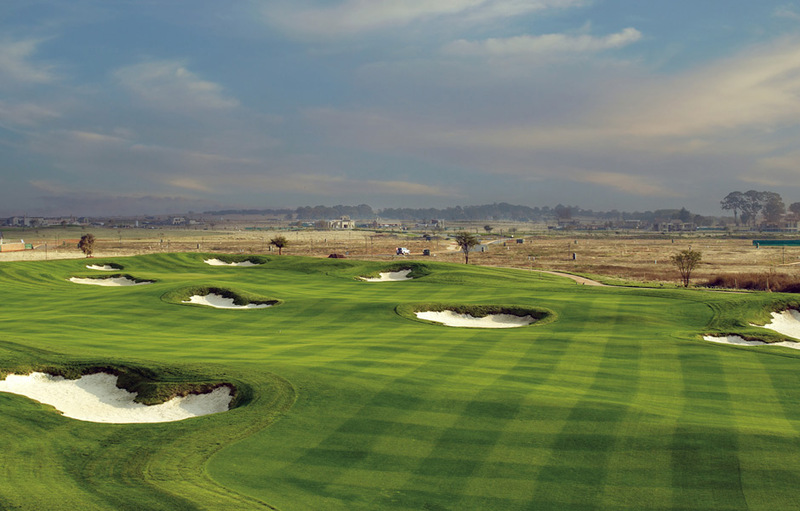 Opened by the Golden Bear himself in 2009, Serengeti is the sixth golf course designed by the legendary Jack Nicklaus in South Africa and is the first 27-hole signature course in Gauteng. It is already the proud recipient of a number of awards including a Five Star Service Award from Compleat Golfer, and Best New Golf Course in South Africa by Golf Digest. As it is less than three years old, this course is not yet eligible for Golf Digest’s Top 100 South African Courses. Serengeti is full of promise for a future top position. Johann Rupert and Gary Player had a vision of a perfect golf course. They felt it should be one on which friends could come together for enjoyable 18-holes; yet also challenging and stimulating enough for the world’s top golfers. Currently ranked No. 2 in South Africa it previously held the top spot for six straight years. It is ranked 80th on the 2011 World Top 100. Currently ranked 4th in South Africa this course sports perfectly manicured greens and lightening fast fairways. 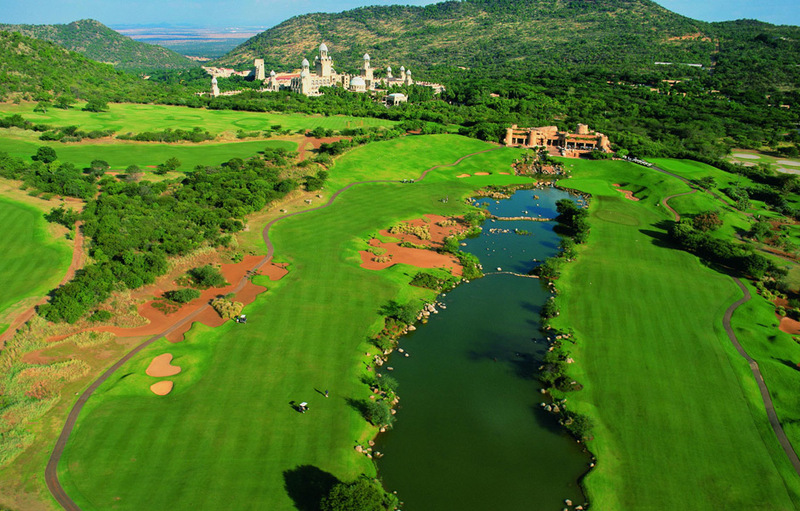 It is the home to the prestigious annual Nedbank Million Dollar Golf Challenge. This course was the first course in South Africa to be built to the stringent USGA specifications. 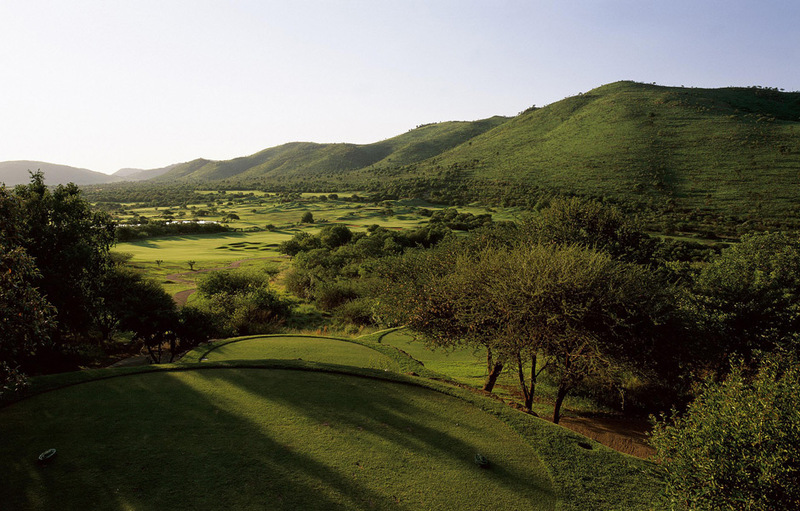 Currently ranked 21st in South Africa, the Lost City Course offers golfers a unique experience and awe-inspiring views across the African bushveld. Gary Player’s breathtaking desert and bushveld design reveals itself through careful incorporation of the natural surrounding bushveld with carefully placed bunkers, rock features, eroded gullies and water hazards. The Nile crocodile pool on the 13th hole is a major draw-card for international visitors looking for a little African adventure. This exquisite and challenging courses emerges from the natural landscape in a series of undulating fairways, rugged bunkers and luscious greens, all born from the natural movement of the land. Invoking the spirit of centuries old courses in Scotland and Ireland, St Francis Links, currently ranked 10th in South Africa, is a must play course for the golfer who reveres the history and tradition and embraces the challenges of the glorious game. 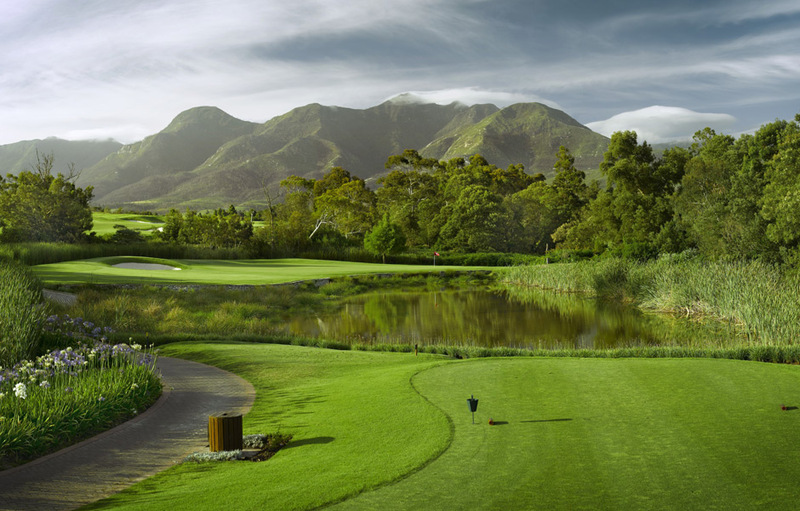 Fancourt is a premier leisure and golfing destination and home to The Links (ranked No. 1), the Montagu (ranked No. 7) and The Outeniqua (ranked No. 18).Each of these courses has something different to offer players of all levels and experience. The Links with its undulating windswept terrain and dune-style landscape is one of the most breathtaking and challenging courses in the country. The Montagu’s Parklands stylish bunkers and undulating fast greens roll out across the foothills of the majestic Outeniqua Mountains. The Outeniqua course is regarded as the easiest of the three courses as it is more open in appearance, but it presents its own challenges, risks and rewards, particularly when facing the water hazards and streams on 11 of the 18 holes. 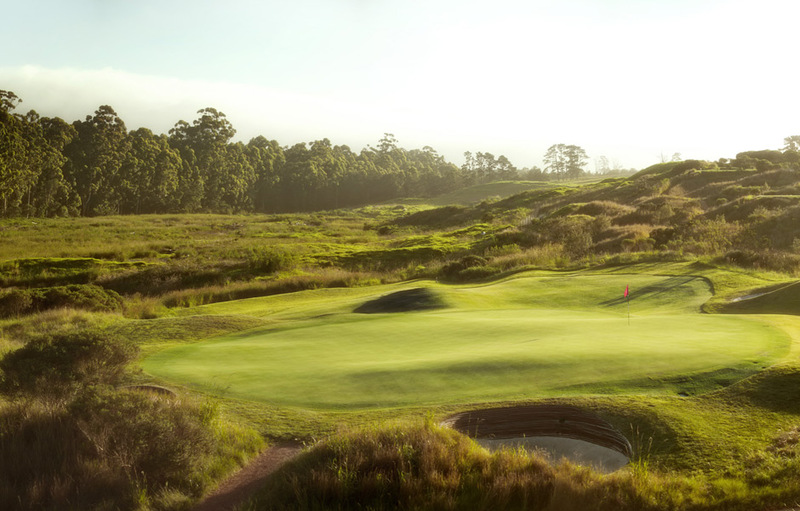 Situated at Herold’s Bay along South Africa’s Garden Route, this traditional links course is ranked 31 in the top 100 golf courses in South Africa. Course designer, Ernie Els rates it as his favourite course to play.